76, died at 10:09 P.M. on Monday, March 26, 2018, at Lima Memorial Health System in Lima, Ohio. Harry was born on June 18, 1941, in Lima, Ohio, to the late William Harry Monfort Sr. and Winnifred Ora (Baughman) Monfort. On November 4, 1962, he married Treva Ann (Sonderman) Monfort, who survives in Wapakoneta. He worked at Pangles Master Market, The Jewel Tea Company; and he retired from Randall Bearings after over thirty years. 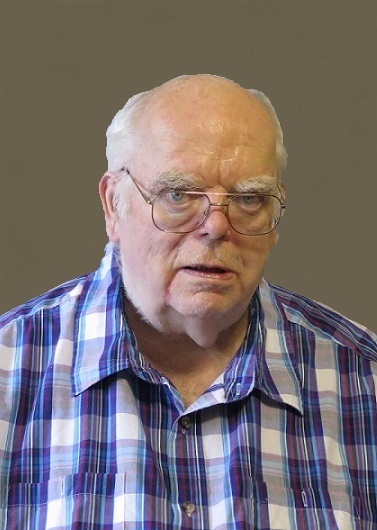 He was a member of Forest Park United Methodist Church; Warren County Geneology Society and a former Cubmaster and Webelo Leader at Longfellow School. He is survived by children, Wayne Eric (Peggy) Monfort, of Wapakoneta, OH and Mary Ann (Randy) Morgret, of Fairborn, OH; a sister, Joann Carol Monfort, of Lima, OH; four grandchildren, Kasey (Kelly) Monfort, Samantha (Keon) Gross, Michael Samons, and Blake (Marissa) Samons and six great grandchildren, Alex, Kainen, Mackenzie, Andrew, Makayla and Adrian. He was preceded in death by his sister, Donna Marie Monfort. The family will receive friends from 1-3 and 5-7pm. on Thursday, March 29 2018 at Chamberlain-Huckeriede Funeral Home in Lima, Ohio, and one hour visitation prior to the service on Friday. A funeral service will begin at 10:30 a.m. on Friday, March 30, 2018 at Chamberlain-Huckeriede Funeral Home. Pastor Tim Benjamin will officiate. Interment will be in Hartford Cemetery, Spencerville, Ohio. Memorial contributions may be made to Forest Park United Methodist Church or Auglaize County Council on Aging-Transportation Unit.